Dr. Robert J Amato is a full Professor and Acting Director of the Division of Oncology at The University of Texas Medical School at Houston and the Chief of the Division of Oncology at Memorial Hermann Cancer Center TMC. He achieved his medical degree from the University of North Texas, Texas College of Osteopathic Medicine after graduating with a Bachelor of Science from Texas Christian University. Dr. Amato completed his residency program in Internal Medicine at the Texas College of Osteopathic Medicine Hospital System before becoming a fellow in Medical Oncology at MD Anderson Cancer Center where he earned the top award for clinical excellence. He became faculty at MD Anderson Cancer Center in 1988 and was there until 2000 when he joined the faculty of Baylor College of Medicine as an Associate Professor. He joined The University of Texas Medical School at Houston, Department of Internal Medicine, and Division of Oncology as Professor in September 2008. Dr. Robert J. Amato is one of the world’s leading experts in the treatment of genitourinary cancer. Early in his career, his research helped make testicular cancer a highly treatable disease. 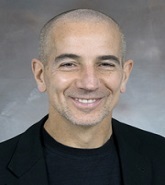 His current research focuses on molecular-targeted therapeutics to halt the progression of metastatic kidney and prostate cancers, the further development of immunotherapies with a primary focus on vaccine and immune therapy, and determining how elements from his current studies may be used in the treatment of bladder and testicular cancer.